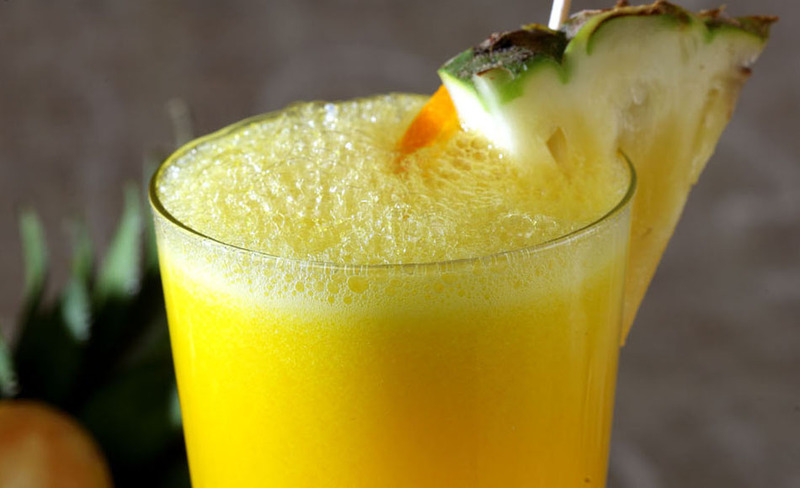 Orange, Watermelon, Pineapple, Mosambi, Ganga Jamuna, Mara Mari, Mango, Pomegranate, Black Grapes, Cocktail, Apple. 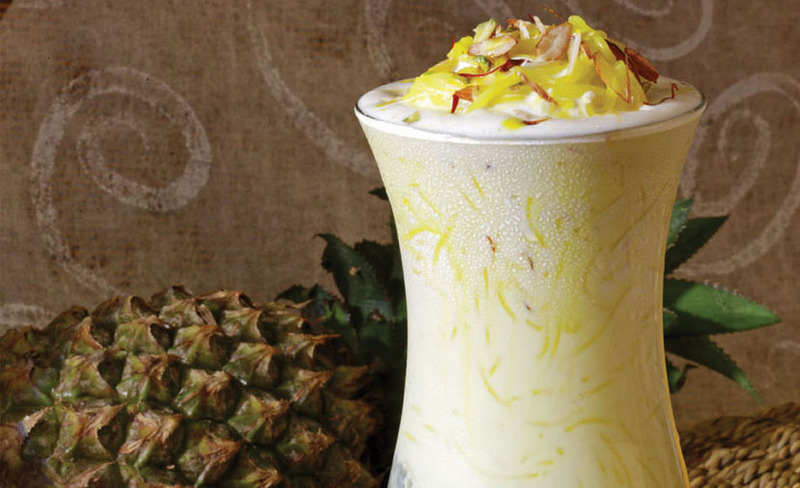 A combination made of saffron syrup, milk, vermicelli, served in a sundae glass topped with a scoop of vanilla ice cream. 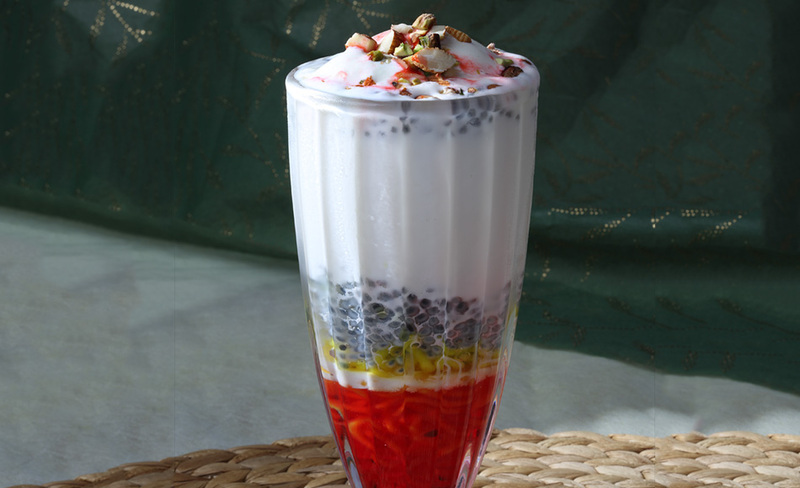 A concoction made of rose syrup, milk, vermicelli served in a tall glass topped with a scoop of vanilla ice cream. 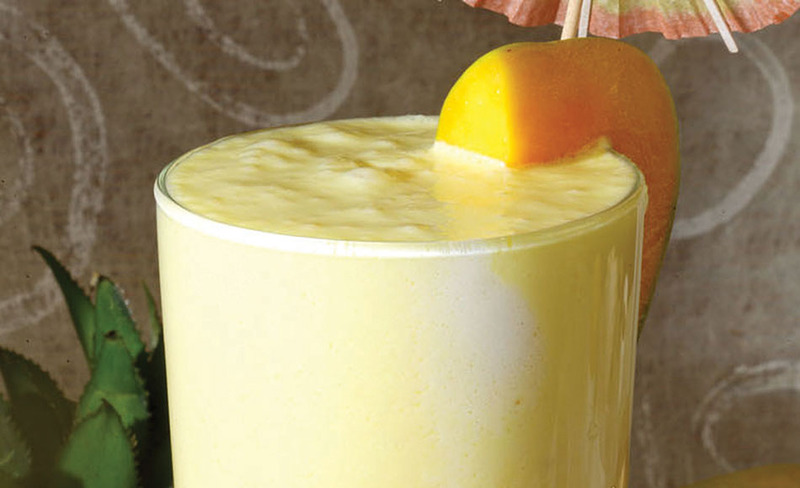 Thick yoghurt shake - mango flavoured / saffron flavoured. 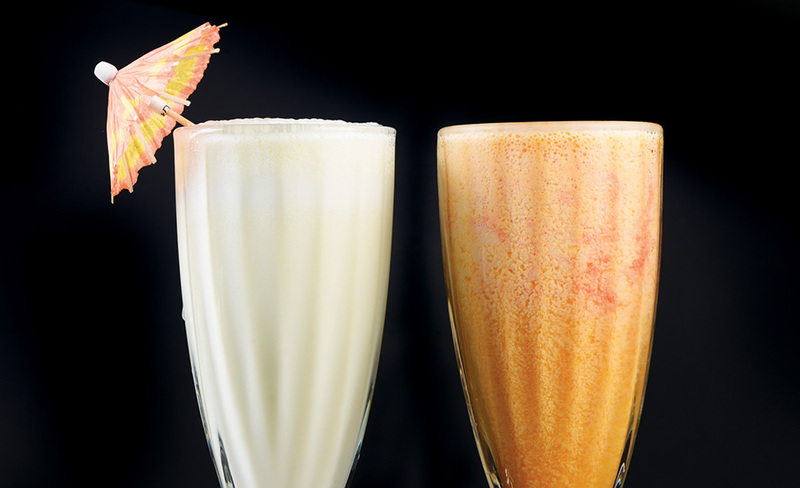 Thick yoghurt shake - which is a refreshing thirst buster and a soothing digestive served sweet/salted/with spices/with mango crush. A piquant summer cooler of cocum syrup (Indian black sour plum),cumin served with water, soda or Sprite. 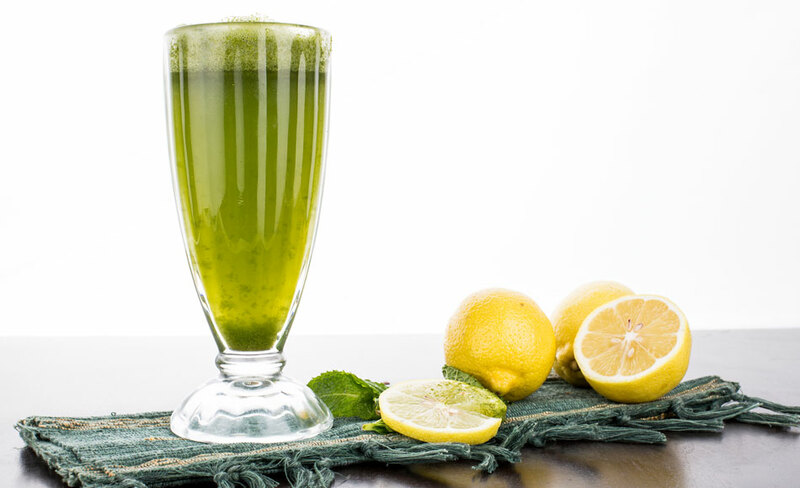 Freshly squeezed lime juice, churned with water or soda served sweet, salted or plain. 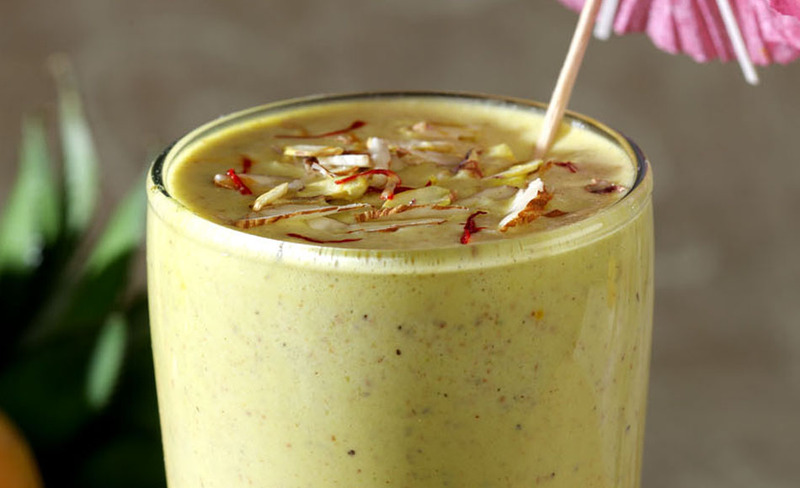 A combination of tender coconut water, with fresh mint and honey.